Happy New Year to you and all your furry family members! We’re ready to start the countdown and ring in 2019, and some of our feline friends are joining the fun. Hope the new year brings you lots of love, health, happiness, and kitty cuddles! Make sure to play this at your New Year’s Eve party and crank the volume really loud. Everyone will appreciate it! Have you made any resolutions? Hopefully you’ve resolved to spend more time snuggling your cat, to give more treats, and to be more generous with the catnip. 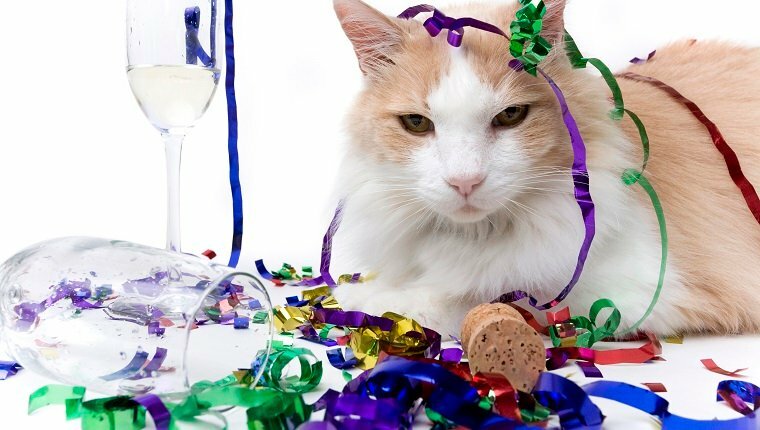 As always, if you intend to have a party, keep your cat stays safe. Set up a nice room for them where they can be away from the guests and noise for a while. Maybe play some calming music, and make sure they have plenty of water and things to play with. Tell guests to let kitty rest. Staying up so late is for silly humans, anyway. Are you celebrating New Year’s Eve with a kitty you love? What are your cat-themed resolutions? Let us know in the comments below!